It is an Americanised version of Singapore. It is racist and bigoted. Plus, the author of the book and co-producer of the movie is a National Service defaulter. 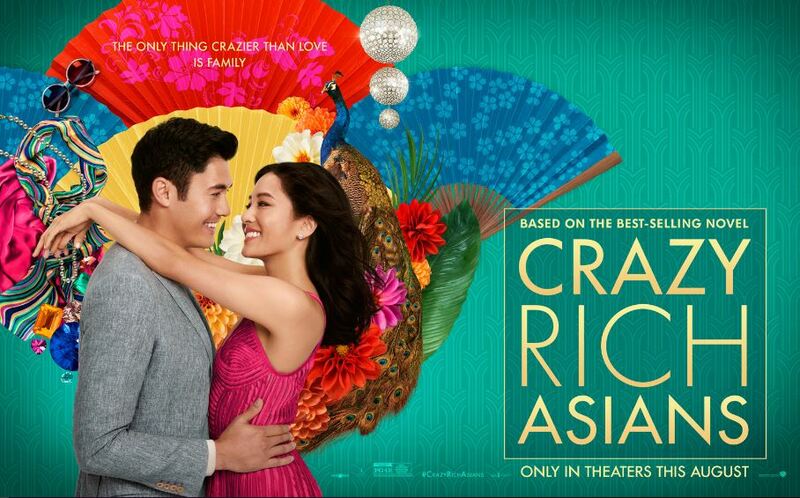 Despite its flaws, Crazy Rich Asians continues to top box offices around the world. It generated over US$101 million in its first 17 days, putting it on par with heavyweights like Black Panther and Avengers: Infinity Wars. Love it or loathe it, you’ve got to admit that Crazy Rich Asian is one heck of a movie. Based on Kevin Kwan’s bestselling book of the same name, the light-hearted rom com has become a cultural phenomenon. It broke numerous records for an Asian-led Hollywood movie, performing way better than predecessors like The Joy Luck Club. Crazy Rich Asians has also firmly placed Singapore on the global tourism map, generating interest in our tiny island that few movies ever achieved. Let us look more closely at some of the reasons why. American Asians started to book up cinema halls in the United States en masse, inviting their family members, clients and partners to jointly partake of the cinematic movement. This helped to trigger the huge up-swell in the movie’s box office takings during its initial stages. 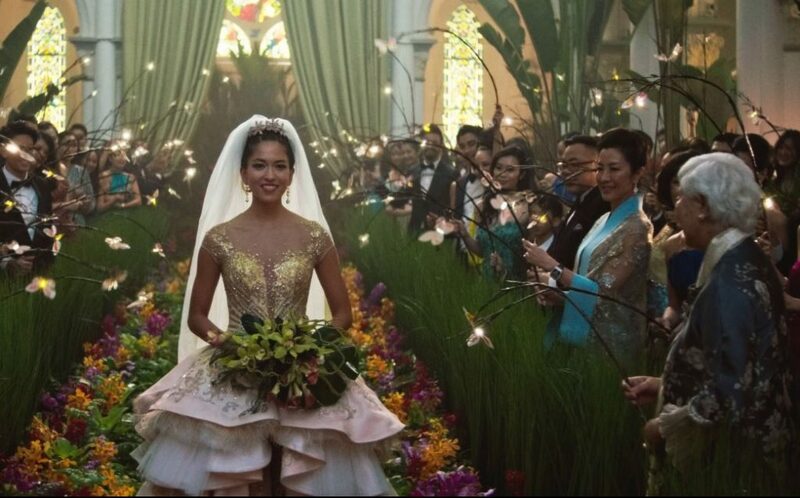 As an example of movement marketing, Crazy Rich Asians tapped on a latent desire among Asians for greater representation, united them, and achieved scale through the influence of social media. Crazy Rich Asians is the biggest thing since Chop Suey for long repressed Asians in Hollywood. And America. By focusing on an ethnic group that has long been labelled as geeks, nerds, maths geniuses and kung fu experts, Crazy Rich Asians broke the barrier for Asian representation in Tinseltown. One of the most important milestones about the movie was its representation of Asian men as leading characters. Long considered unattractive and less desirable than other racial types, it is also one of the few movies where an Asian men took a lead role. As I’ve previously written, antiheroes are increasingly gaining mainstream popularity. Crazy Rich Asians is a prime example of a movie which rides on that wave. Honestly, I’ve never seen Singapore look so beautiful and enchanting before. While there were movies featuring our tropical island before, few could match the scale, spectacle and grandeur of Crazy Rich Asians. Few could forget Crazy Rich Asians’ jaw-dropping locations, over-the-top fashion apparel, opulent homes, and elaborately crafted sets. From a party by the Infinity Pool of Marina Bay Sands, wedding at CHIJMES (complete with a lovely wedding singer and flowing water), to a raucous bachelor party featuring pageant queens on board a container ship—every scene was dripping with obscene wealth. And let’s not forget our protagonists’ preference for ultra-chic Western and chinoiserie inspired clothes, adorned with ostentatious displays of jewellery, while carousing to the nostalgic blend of Chinese-English songs performed by Asian singers. Which brings us to the next related point. OK, I know that not all the “A-list” Hollywood Asian actors are here. 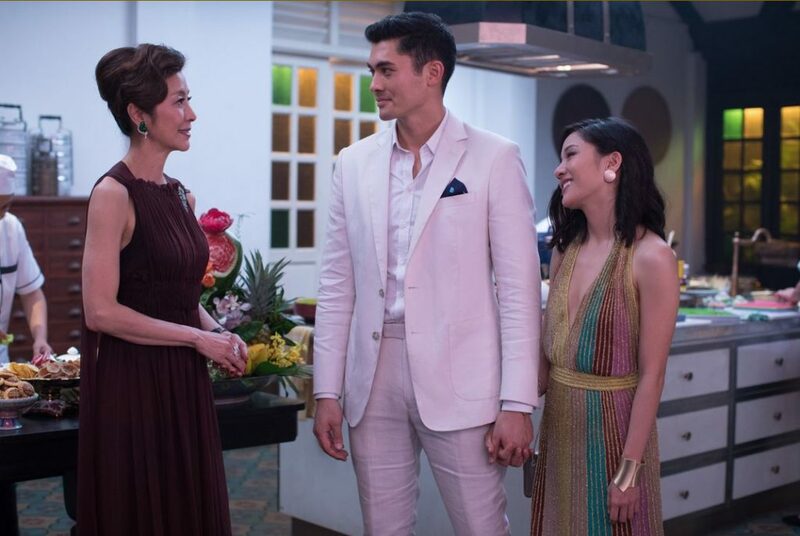 But the three leads in the movie—Constance Wu (Rachel Chu), Henry Golding (Nick Young), and Michelle Yeoh (Eleanor Young)—did a great job in making their roles come to life. I especially loved how Wu managed the wide range of emotions needed for her role. And lets not forget the amazing Awkwafina (aka Nora Lum who played Goh Peik Lin), who probably stole the thunder with her “trash talking” rapper-actor street vibe. What especially warmed my heart was the appearance of our own Singapore actors like Koh Chieng Mun (Neena Goh), Selena Tan (Alexandra “Alix” Young), Amy Cheng (Jacqueline Ling), Janice Koh (Felicity Young), Pierre Png (Michael Teo), Fiona Xie (Kitty Pong), and Tan Kheng Hua (Kerry Chu). These thespians from our local scene did our country proud. Oh, and we mustn’t forget the amazing soundtrack! Anybody who has grown up around a Chinese speaking household would bop along to the beats of evergreen favourites given a contemporary twist. Like this 1920s inspired piece by Grace Chang. Yes, Kevin Kwan isn’t exactly a role model citizen of Singapore (he is American by nationality now). By defaulting on National Service, Kwan has once again re-ignited the evergreen national conversation in Singapore about how flexible (or inflexible) we should be about allowing talents to defer (or even skip) their two-year commitment. Beyond this elephant in the room, the movie has also courted controversy for how it portrayed minorities in Singapore. Many Singaporeans have decried how Malays, Indians and other ethnic groups were virtually absent from the movie. Others have cringed at the depiction of the Punjabi guards at the mansion of the Youngs. And let’s not forget about the “banana” cast of Asian actors who seem to speak a mish-mash of American English, Singlish, Malaysian English, and other accents. Thanks to its imperfections, the movie was a hot topic online, triggering lots of debate, discussion, and soul-searching posts. Which brings me to my final point. Crazy Rich Asians has all the right ingredients of virality. It is full of contrasts and contradictions as a rom-com, while taking a no-holds-barred approach to depicting the lifestyles of rich and Asian. Beyond making American Asians and Singaporeans feel like ‘insiders’ and hence igniting social currency in us, it straddles the entire range of shareable emotions—anger, hilarity, awe, anxiety and excitement. Plus the movie came hot on the heels of the monumental Trump-Kim Summit in Singapore. And, it further coincided with the arrival of Facebook Video Superstar Nas Daily on our island. Collectively, these events probably triggered more interest in Singapore in 2018 than most of our years of independence. Crazy Rich Asians isn’t everybody’s cup of tea. While it struck a huge chord with Asians in the Western world, the movie’s reception in Singapore is somewhat mixed. Personally, I felt that it did more good than bad for Singapore. From the tourism marketing angle, it certainly made our island look luscious and luxuriant – a great place to visit for anybody keen to enjoy the high life while savouring affordable and delicious hawker food. And attracting more rich visitors to our island would certainly help to boost our retail, F&B, hospitality and tourism sectors. What are your thoughts on the movie and the book? Do you feel that it did Singapore justice? Just drop your name and email here!